8th Global Islamic Microfinance Forum Successfully Concluded in Dubai – U.A.E. 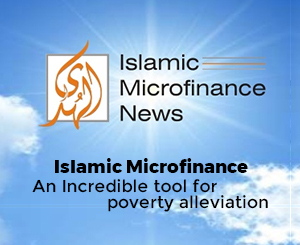 8th Global Islamic Microfinance Forum to be Held in Dubai – U.A.E. AlHuda CIBE signed MOU with MIHE–UK to promote Islamic Banking Education Globally. 2017 will prove to be the best year for Islamic Financial market. ICD Signs MoU with AlHuda CIBE for the development of Islamic Microfinance Industry. 6th Global Islamic Microfinance Forum will be held in Nairobi, Kenya Forum will be Jointly Organized by AlHuda- CIBE and Akhuwat for Poverty Alleviation & Social Development. AlHuda CIBE introduces complimentary Advisory Services during the month of Ramadan. 3rd African Islamic Finance Summit Inaugurated in Dar Es Salaam, Tanzania today. An Ever Memorable Event in the History of Islamic Finance “Nationwide Awareness Road Show on Islamic Banking & Takaful”. AlHuda CIBE has long term vision for East African Islamic Finance Market. Halal Research Council will provide services to promote Halal Industry in Nigeria. Takaful perceived as having significant potential in Tanzania.